Saturday, February 3, regatta fans are invited to stay late race day for after dark waterside entertainment and al fresco dining available only at PIER 22. 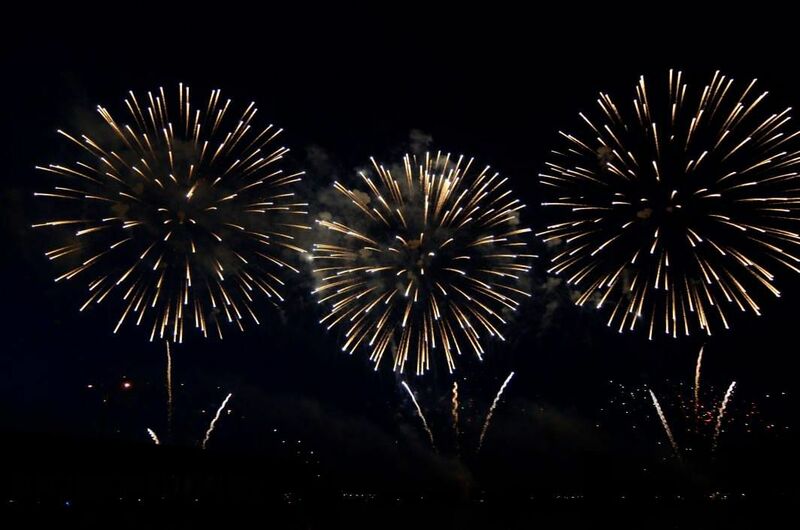 Guests are encouraged to be seated no later than 6:30 p.m. for a fantastic and musically choreographed fireworks extravaganza, presented by Manatee Memorial Hospital and created by the first family of pyrotechnics—Zambelli International. Following the night-sky illuminations, champion flyboarder Kristen "The Destroyer" Smoyer will put on a short performance. Both acts can be viewed from the PIER 22 patio and terrace areas. Reservations are strongly encouraged, and limited outside seating is available. There are no extra costs associated with entry into this event; however, purchase is necessary with any PIER 22 reservation. PIER 22 begins dinner service on Saturdays at 4 p.m. weekly and closes at 10:30 p.m. For reservations call 941-748-8087.
offers a welcoming ambiance for all guests to enjoy. With rooms for every occasion, PIER 22 can accommodate your party or event with up to 300 guests.